Some Chicago Mercantile Exchange live cattle contracts settled down the 3.000-cent per pound daily price limit on Monday following Friday's bearish U.S. Department of Agriculture cattle reports, said traders. Friday's USDA monthly Cattle-On-Feed report showed the largest June cattle placements for the month in 11 years. The twice-yearly U.S. cattle inventory data showed continued herd expansion. Drought-related weather in the northern U.S. Plains started pushing more cattle into feedlots, said AgriVisor Services Inc analyst Dale Durchholz. Traders said sell stops and fund liquidation accelerated market losses. August ended 2.550 cents per pound lower at 113.875 cents and below the 100-day moving average of 114.377 cents. October and December settled limit down at 114.400 and 115.175 cents, respectively. CME live cattle's trading limit will expand to 4.500 cents on Tuesday. Some investors bought futures at market lows with the view that Monday's selloff was overdone. They also said Monday morning's wholesale beef price bounce suggested it may be about to bottom out seasonally. "Beef prices have gotten back to being a somewhat attractive item relative to pork," said Durchholz. Wholesale beef prices may influence how much packers pay for cattle this week, he said. Market-ready, or cash, cattle in the U.S. Plains last week brought $117 to $120.50 per cwt, said feedlot sources. Bearish traders believe Monday's market selloff might work against this week's cash prices. Bullish investors cited profitable packer margins and tight supplies in parts of the Plains as supportive cash price factors. On Monday the USDA will issue the monthly cold storage report at 2 p.m. CDT (1900 GMT) that will include total June beef and pork inventories. Two analysts surveyed by Reuters, on average, projected last month's total beef stocks at 401.8 million pounds and 544.8 million for pork. CME feeder cattle closed sharply lower, with the August contract down the 4.500-cent limit, following the steep decline in live cattle futures and cash feeder cattle prices. August feeders ended limit down at 148.450 cents per pound. September closed 4.475 cents lower at 148.675 cents. Feeder cattle's limit will expand to 6.750-cents on Tuesday. 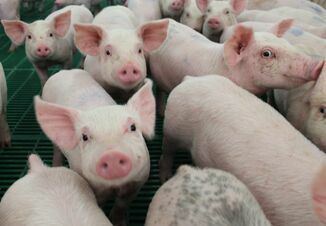 Weaker cash and wholesale pork prices weighed on CME lean hogs, said traders. August closed 0.725 cent per pound lower at 80.375 cents, and October down 0.775 cent to 66.450 cents. 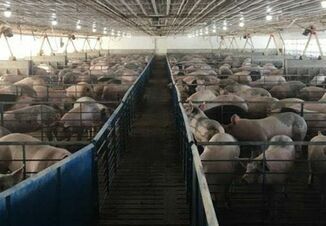 Seasonally building supplies pressured cash and wholesale pork prices, a trader said.